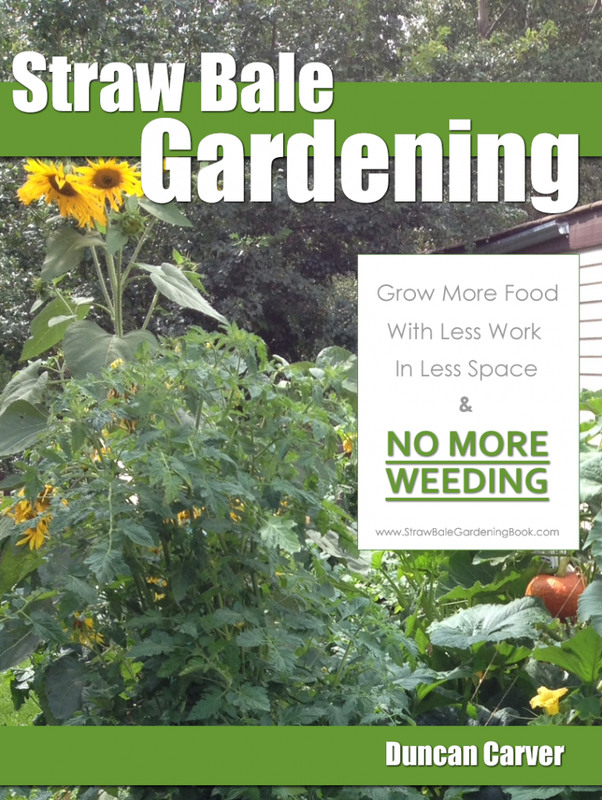 One great aspect of growing your own food in straw bales is the massive growing potential. You’re ability to expand your operation and make it as large as you like, is limited only be the amount of space you’ve got available (and the number of straw bales you can get your hands on). 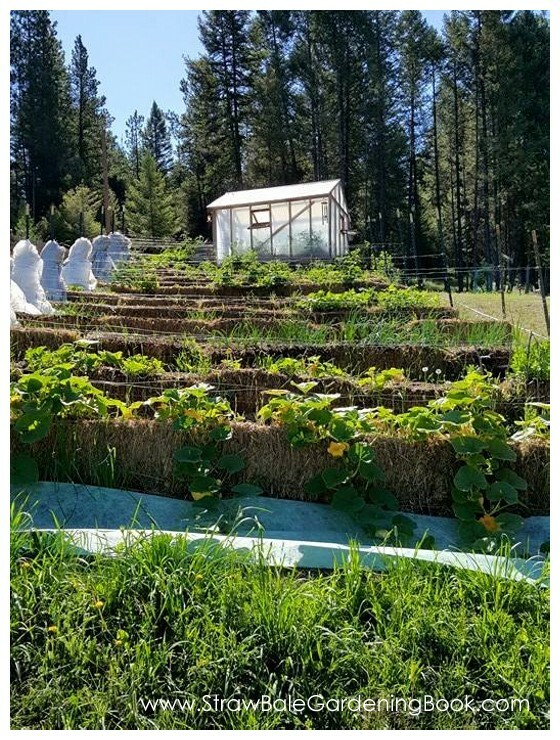 You can opt to setup just a few straw bales on your lawn (or driveway) and create a small salad or herb garden (or grow various kinds of vegetables). Or you can expand as large as you like depending on how much organic food you want to grow. 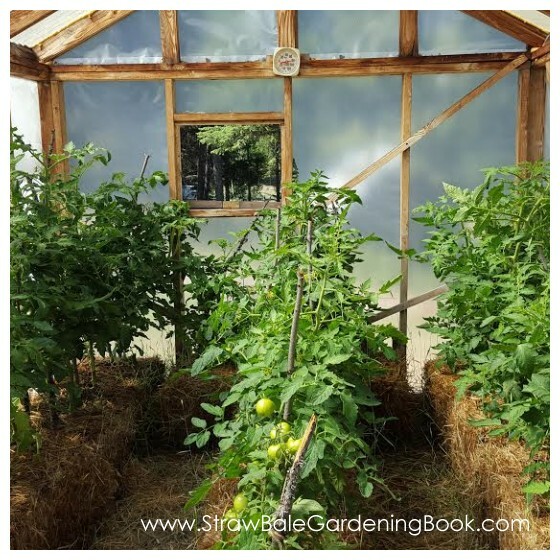 …and if you want to, there’s no reason why you can’t setup your straw bale garden in a greenhouse to help extend your growing season even further. 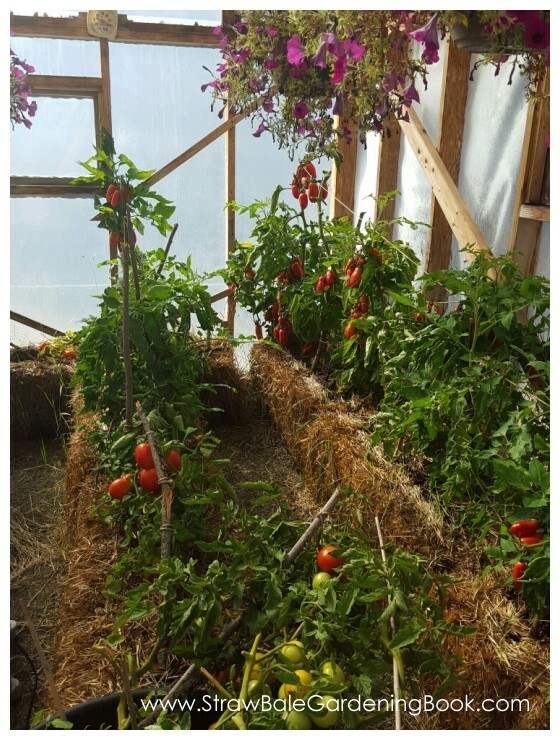 …the greenhouse not only provides extra protection for the plants (and a warmer more stable growing climate), but the straw bales will also help regulate the internal temperature of the greenhouse. As they are slowly decomposing from the inside over the season (self composting growing containers), they’re producing more heat in the process. An ideal setup for growing organic vegetables! Want to republish this article on your own website or blog? Click here for details. Immediate Download Available After Ordering PLUS 30 Day Money Back 100% Satisfaction Guarantee.